Celebrated constitutional-conservative Mark Levin, with one of the nation’s top-rated radio talk shows and a new TV show on Fox News Channel, has over the years gained a reputation of being not only a quick-witted conservative phenomenon but also a man with first-hand experience within the Washington, D.C. Beltway. Those who know his impressive background are aware of his near plethora of achievements such as his education as an attorney and a legal scholar, his pro-bono work through his Landmark Legal Foundation, his actions as both a political and media watchdog, his work as a columnist and author of several best-sellers… and the list goes on. With the news media’s steady anti-Trump drumbeat, Levin has found himself battling some of the most ignorant and dishonest politicians and activists in the nation. One of his current endeavors is the education of the American people regarding border security, Democratic Party hypocrisy, and the news media’s ultra-biased coverage stemming from their hatred of President Donald Trump. As has been expressed by a number of pro-Trump observers including Mark Levin, there are many politicians who are malignant narcissists especially the likes of Speaker of the House Nancy Pelosi and Senate Minority Leader Chuck Schumer. The news of the week is that the Democrats have caused a partial government shutdown that continues to drag on and which is being blamed on Trump and the GOP. The simple fact is that the left-wing politicians and their news-media lapdogs are routinely successful in turning public opinion against specific political targets. President Donald Trump and Senate Minority Leader Chuck Schumer. Last week, President Donald Trump addressed the nation via a national TV address to discuss his plans for securing the border, a strategy that Democrats and media have used to vilify the White House and the Republicans in both houses of congress. 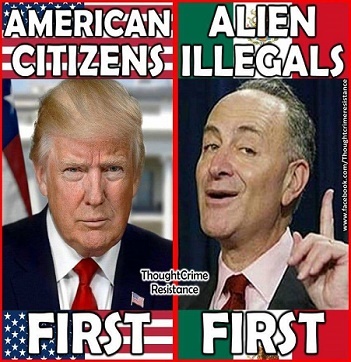 Directly following Trump’s informative and sensible border strategy announcement, the nation was subjected to the anti-Trump, anti-law enforcement rebuttal from the newly installed Speaker of the House Pelosi, D-California, and Senate Minority Leader Schumer D-New York. While most Americans knew what to expect from the Democratic Party’s rebuttal, it angered Levin. Not long after the two Democrats spoke, the radio and television host called in to Fox News and blasted the left for years of foot-dragging on the border issue. 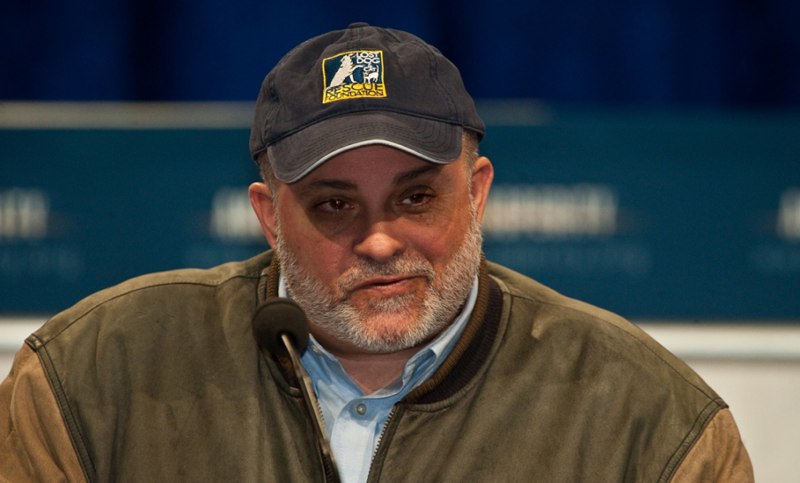 Levin, as do many law enforcement officials, believes the Democrats want unbridled immigration especially from Third World countries that have a history of socialism, despotic rule and extreme poverty. And the immigrants’ leaders are in on the scam, according to Levin. “They’re part of the scam artists. They get amnesty, legalization, citizenship, and never secure the border,” he declared. Indeed, there are dozens of videos and soundbites which clearly show Democrats — including Schumer, Presidents Clinton and Obama, and many other leftists — saying almost the exact same things as President Trump about border security and the need to enforce immigration laws. At least until Trump won the White House. Suddenly the tune changed. “Donald Trump ran on the issue of border enforcement and an immigration overhaul. He was elected largely on that issue. Trump hasn’t changed — it’s the left which is now playing politics with the nation’s security and rule of law,” noted Levin.